Wildflower plantings are increasingly popular for their beauty and for the wildlife habitat they create. Consider replacing some lawn or underutilized gardens with a wildflower planting. 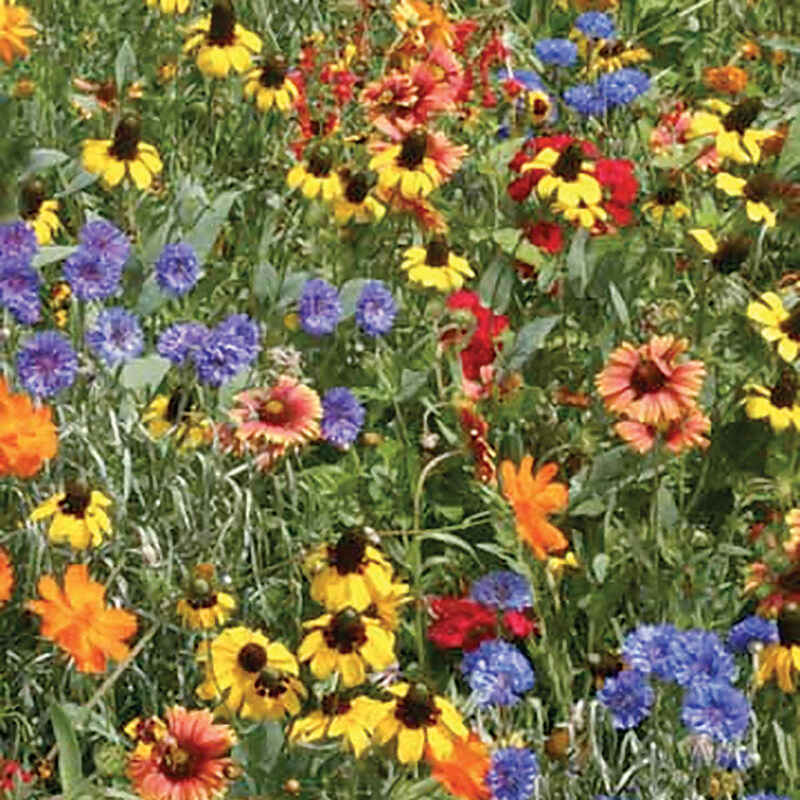 All wildflowers are pure seed, no fillers here! 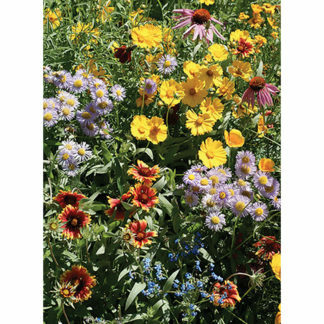 Southeast Wildflower Mix consists of: Annual Baby’s Breath, Black-Eyed Susan, Clasping Coneflower, Corn Poppy, Gaura, Gilia, Indian Blanket, Lance-Leaved Coropsis, Four O’Clocks, Gayfeather, Leavenworth’s Tickseed, Lemon Mint, Moss Verbena, New England Aster, Plains Coreopsis, Perennial Lupine, Purple Coneflower, Red Phlox, Scarlet Flax, Scarlet Sage, Sulphur Cosmos and Tree Mallow. The best time to plant in your area depends on the climate and rainfall patterns as well as the species you are planting. In cool climates, plant annuals, perennials or mixtures of annuals and perennials in spring, early summer or late fall. Fall plantings should be late enough so that seeds do not germinate until spring. 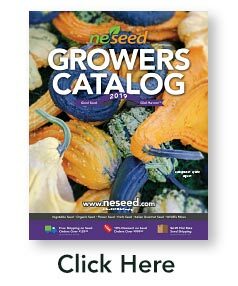 Perennials can also be sown in early fall provided that there are at least 10-12 weeks of growing time before the plants go dormant for the winter. Late fall plantings are advantageous when supplemental irrigation cannot be provided and adequate rainfall is anticipated in the spring. In mild climates, plant during the cooler months of the year, fall through spring, for best results. Fall plantings done prior to periods of rainfall will insure an early display of flowers the following spring. Prepare soil like a vegetable garden. Remove vegetation or spray with an herbicide. Follow directions on label of herbicide if used. Loosen soil 2″ deep and rake smooth. Broadcast seeds evenly by hand or with a grass seed spreader. Mixing seed with sand (use clean builders sand, not play sand) or vermiculite facilitates even distribution. Rake seeds lightly into soil, about 1/8″ deep. Keep consistently moist 4-6 weeks, then gradually reduce water to 1/2″ per week. Do not water fall plantings until spring. If soil is poor, apply a 5-10-5 fertilizer. 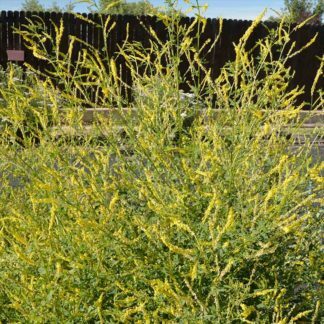 Pull weeds as soon as they can be identified. In late fall, cut plants to 5″ tall to assure continuing color. Consider overseeding every year for maximum bloom. 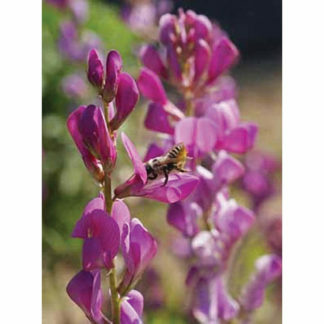 Wildflowers can provide an excellent, low cost landscaping alternative. However, during their initial establishment period, wildflowers require as much maintenance as traditional plantings. 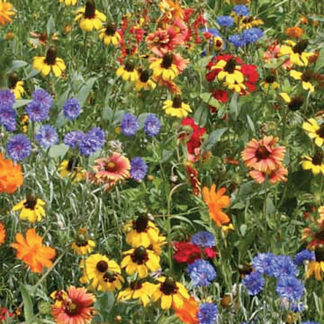 A wildflower planting requires the same weed control measures as traditional landscaping.